You have absolutely amazing photos! I just finished looking through your recent uploads and they’re so beautiful. Thank you for sharing them with us. PS. 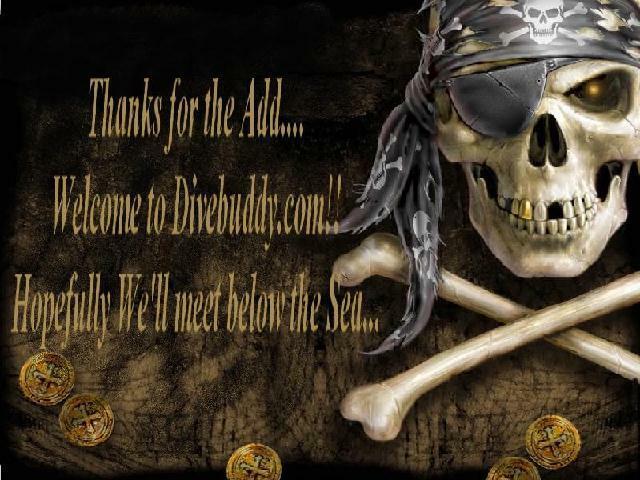 I was doing a ’clean up’ by making sure photos were in the right folders, etc on Divebuddy and I appreciate you taking the time to do that with yours. Have a GREAT day! Even with the low light that’s a great picture! I had to add a cheap ($28.) focus light to my camera to help it focus, before that I had a regular light on my housing but since it didn’t turn off when the strobe fired it sometimes left a bright spot in my pictures. hey thanks for the positive comment! The sea life here in Okinawa is just amazing. Will be posted more pictures soon. Had an accident with my camera and it is now floating somewhere in the East China Sea, but my new camera has arrived and now i am just waiting on my housing. Thanks again and dive safely always. Taken in West africa about 80 miles offshore. He was hiding in a damaged subsea float and emerged when I came too close and almost put my hand on top of him. He legged it then to another spot cause we were replacing the subsea float. hi laura! just a quick diddy, saying happy birthday!!! safe diving!